Pro-North Korea body praises South Korea for not 'blindly following' U.S.
A Japan-based newspaper praised South Korea's policy and the inter-Korea Panmunjom Declaration as a move toward peace that shows Seoul is "not blindly following the United States." 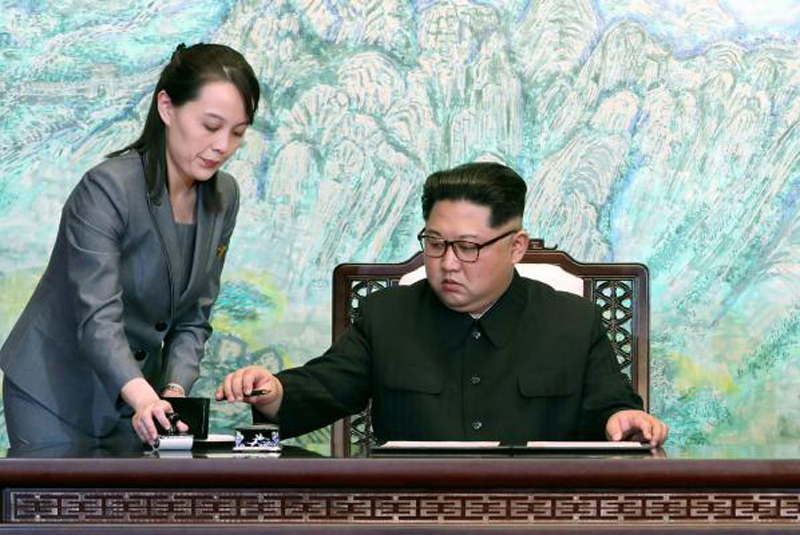 The pro-Pyongyang newspaper Choson Sinbo in Japan issued the statement on Wednesday, less than a week after the summit at the inter-Korea border. Calling the summit and agreements the "opening of a new age of peace," the article criticized U.S. policy. Choson Sinbo is published by the General Association of Korean Residents, a pro-North Korea representative body that also serves as North Korea's de facto embassy in Tokyo. "Last year the United States said they would prevent North Korea from strengthening its nuclear arsenal and threatened to wage eternal war on the Korean Peninsula," the Choson Sinbo article stated. "It is necessary then North and South hold hands in order to not repeat the tragedy of a civil conflict." Opinion is divided between South Korea's progressive and conservative politicians on whether the Panmunjom Declaration and the cooperation set forth in the agreement are in South Korea's national interest. Lee Jeong-mi, one of South Korea's most progressive politicians and representative of the Justice Party, said Wednesday the declaration should be adopted in the National Assembly, Yonhap reported. Lee said a resolution to implement the declaration should be passed quickly in order to avoid controversy over its ratification. Lee also charged opposition conservatives of the Liberty Korea Party of creating a "distraction" by raising the issue of an online comment-rigging scandal. The scandal involved the manipulation of online comments by a suspect with connections to a confidante of South Korean President Moon Jae-in. On Tuesday, leading conservative South Korean politician Hong Joon-pyo had called the summit a "fake show of peace." Kim Jong Un and U.S. President Donald Trump are expected to meet late May, at earliest. World - U.S. Daily News: Pro-North Korea body praises South Korea for not 'blindly following' U.S.